Rahul Gandhi has openly attacked PM Modi in the past months particularly during his campaign for state Assembly elections in Gujarat and Karnataka. Prime Minister Narendra Modi on Tuesday extended birthday greeting to Congress president Rahul Gandhi who turned 48. "Birthday greetings to Congress President Shri Rahul Gandhi. I pray for his long and healthy life," PM Modi said in his tweet. 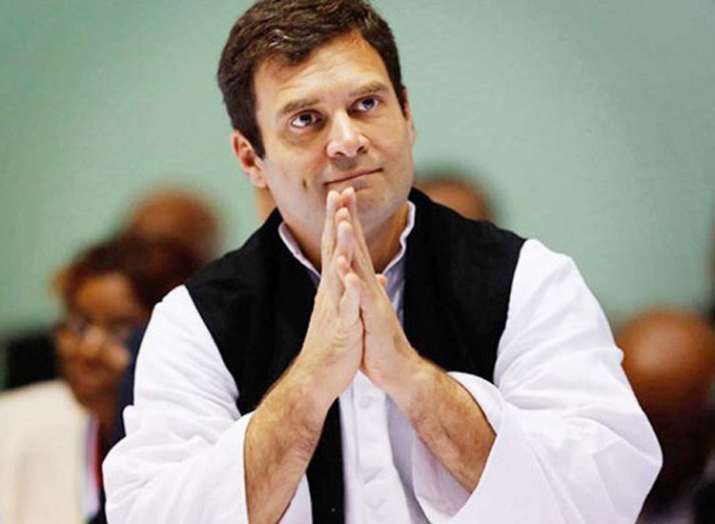 Rahul is yet to respond to PM Modi's greetings. Both Rahul and PM Modi have traded accusations directly at each other with the former accusing the PM of not keeping his promises that he made during 2014 Lok Sabha elections campaign. This is Rahul Gandhi's first birthday after taking the charge as his party's president and Congress workers are celebrating the occasion in a big way. Hundreds of Congress supporters gathered outside the Congress headquarters in Delhi early on Tuesday. Large posters of Rahul Gandhi were put up outside the Congress office and sweets were distributed by the party workers.